In the internet world, content is king. People go to the internet and use search engines to find information; browsers index pages based on content and context. For the best search engine optimization, articles must be written with optimization in mind. Following is information on how Austin TX SEO companies optimize articles to achieve the highest rankings on the results pages. It is important to remember when writing that the topic must relate to the context of the website, as search engines are smart enough to be able to tell whether an article is related to the website on which it is placed. If there is a variation from that main context or from other already posted content, then that article may not be properly indexed and will not serve its purpose. For example, if an internet page offers services related to roofing, then the articles used for SEO purposes should be related to roofing. Possible topics may include types of roofing materials, roofing maintenance, common roof problems, etc., showing cohesion between the theme of the website and the topic. It would not be appropriate for a roofing website to have articles about how to properly roast a chicken – and the search engines would recognize that major difference. Keywords are a vital element to every website. They are words or phrases that web searchers use to locate related topics on the internet. The search engines know which site to bring up on the Search Engine Results Pages by already having a length index of content relating to the specific words used for a search. If an internet page contains a matching keyword, it may appear on the search engine results listing. In order for content to be properly optimized for Austin TX SEO, it must have high value keywords that are defined by the number of times they are searched and the amount of competition for those words. Ideally, a keyword should have a high search volume with very little competition, meaning few other websites have content that relates to that topic. There are many free tools that can help determine which keywords to use for certain subjects, one of which is the Google keyword tool. When choosing a keyword, it is imperative to be sure that it is relevant to the website. Once content is posted on a website, in many instances it will not appear on the SERP’s right away. In order for it to start ranking with the search engine, it must be indexed and then go into a long line of other related articles or content. One way to jump start the indexing of a particular page is for that article or content to be posted on other popular websites and link back to the original posting. A back link is web traffic that comes from another website. When visitors on that other website see the link, they may click on it and be redirected to the original page. Google likes such ‘link juice’ and will start to rank a location higher in the search results that is nearly proportional to the number of quality back links that naturally occur. The only remaining challenge is actually getting an article or content posted to another website. This can be done through article marketing, which consists of article submission websites that allow almost anyone to post content at that location without any charge. Such directories normally allow an author to place a link in the posting back to the original web page where the article was posted. A good example of such a place is known as Ezine Articles. This is a popular destination for people looking for various information on various topics. Interesting articles may be posted to other websites so long as the linking to the original article is kept intact. If this is actually done, it is a may to increase traffic to a particular web page. Content is a necessity for websites, although by itself it does not guarantee a favorable outcome. In order to be successful, it must include the right context, the right keywords, and the right organic back linking strategy. Then a great article as optimized by an Austin TX SEO firm can indeed help to achieve top SEO goals for an internet company! 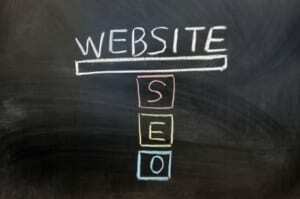 Call the Experts at Web Unlimited For the Best Austin TX SEO Work For Your Website! Are you trying to find the best Austin TX SEO professionals to design your website? Web Unlimited are the people to call at (888) 516-0172 when you want only the best design firm to create your internet presence!